The United States government has not provided weapons or explosives to the YPG or the PKK – period. At the heart of the issue is the U.S. military’s policy of sending arms to the area controlled by the main Syrian Kurdish militia, the People’s Protection Units, widely known as the YPG.The decision has paid off so far. The YPG — which constitutes the Kurdish component of the SDF — has proved to be the United States’ most effective military ally in Syria, and it has retaken vast swaths of territory. 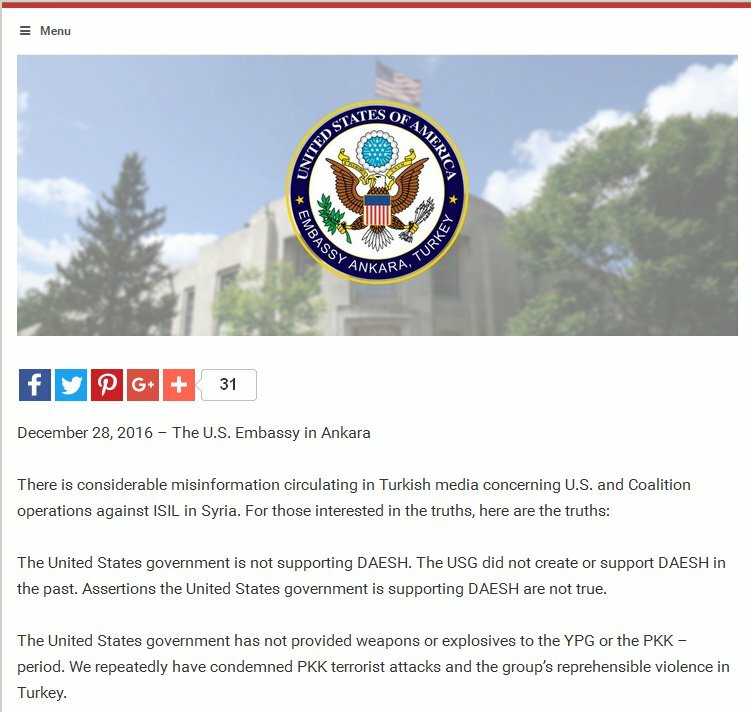 The embassy statement denying weapon and ammunition support for the YPG is obviously a lie. That the U.S. provides and provided weapons and ammunition to the YPG since 2014 is definitely true. The United States government is not supporting DAESH. The USG did not create or support DAESH in the past. Assertions the United States government is supporting DAESH are not true. There are many indications and that the U.S. actively supported ISIS aka DAESH in at least in its early years. In 2013 the Georgian Special Forces officer of Chechen heritage Abu Omar al-Shishani, who had had extensive U.S. military training, was the ISIS commander that led ISIS and the U.S. supported Free Syrian Army under U.S. paid FSA Colonel Abdul Jabbar al-Okaidi in the capture of the Syrian Air Force base Menagh. Who supplied and paid ISIS for that service? Recent ISIS videos taken near al-Bab show ISIS attacks on Turkish Leopard 2A4 tanks with U.S. manufactured TOW anti-tank missiles. Those fell from the sky? 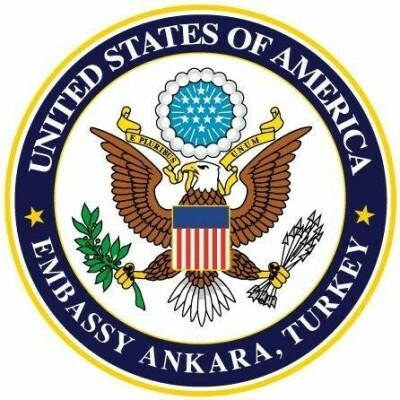 The statement by the U.S. Embassy in Turkey is easily proven to be an outright lie. Why the State Department believes it is smart to officially put out such blatant untruth is inconceivable. It surely does not add to the credibility of any of its other statements.